Three stone rings, or trilogy rings, are associated with beautiful symbolism for married couples. The three stones on the band honor the couple’s past, celebrate their present, and represent hope for the future of their love. Couples may also choose to view the three stones as symbols of friendship, love, and fidelity. Traditionally, a large stone is placed in the middle of the ring with a smaller stone on each side; however, some wearers prefer the uniformity of stones that are all the same size. 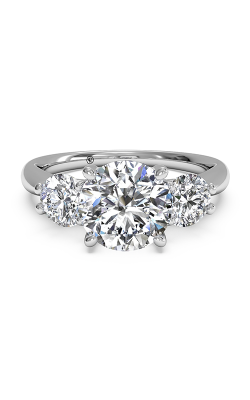 Rounded stones lend a more gentle and romantic appearance, and square stones reflect light in a bold way. 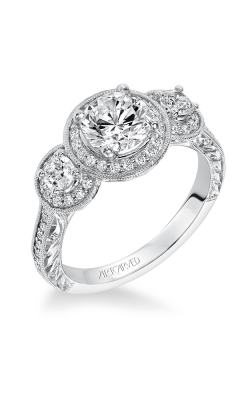 Many brides want rings that embody romance and femininity. 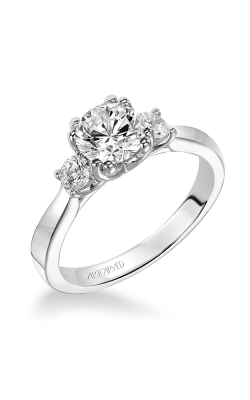 Both the Vintage collection by ArtCarved and the Glamour collection by Amden meet these requirements. 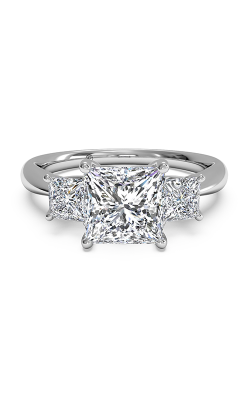 Some of these designs feature halos that surround the center stone with a sparkling row of small diamonds. 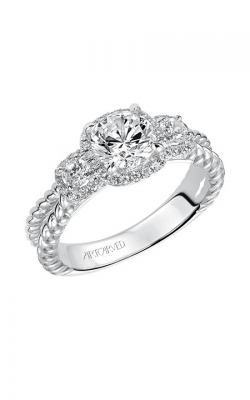 Many also have curvy details around the bands or center stones that evoke lace, vines, and flowers. Both of these collections offer smaller, subtler rings as well as large, dramatic pieces. 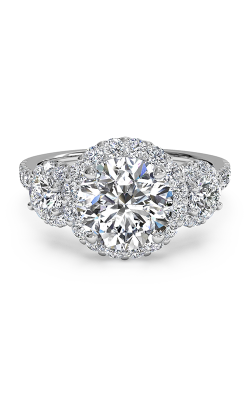 No matter the size of the diamonds or the setting, any bride is sure to feel like a princess in a vintage-inspired three stone ring. 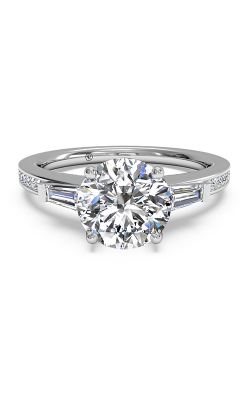 While some brides want their ring to make them look like a starlet, other brides prefer more simple, timeless designs. 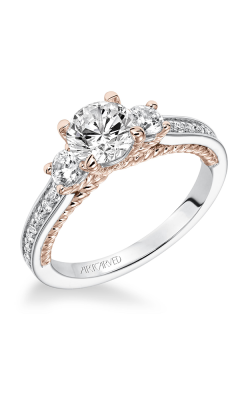 The ArtCarved Classic collection features simple bands that allow the diamonds to shine. 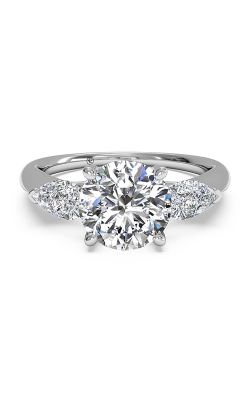 Some feature a delicate detail near the center stone, such as a twist, bypass, or overlap. Similarly, the Contemporary collection employs fine details to create current three stone rings that are truly unique. 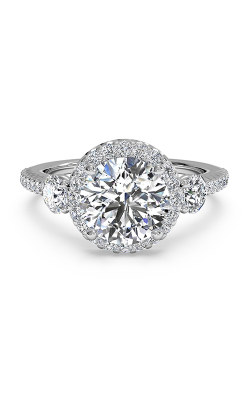 For designs du jour, consider Ritani’s line of modern engagement rings. An open bypass on the band is a mild characteristic for this collection. Sculpted octagon bands make an industrial statement whether they are covered in pavé diamonds or left bare. 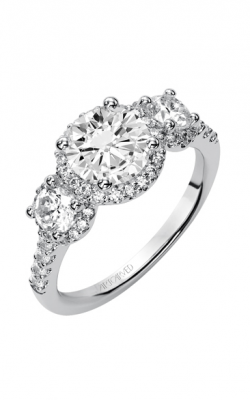 Why Shop for Three Stone Engagement Rings at Damiani Jewellers? Damiani Jewellers has proudly served the Greater Ontario area for over 60 years. We have been family-owned and operated for three generations with no plans to change. Our customers have come to expect high-quality jewelry and watches, world-class customer service, and unsurpassed expertise. 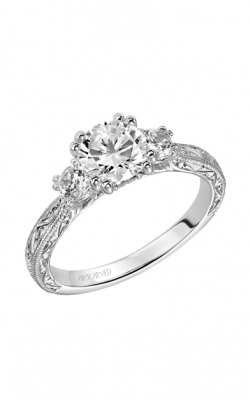 We offer jewelry repair, timepiece service, in-house jewelry appraisals, and custom piece designs. For more information on our products, services and hours, please visit our website. Give us a call at 905.850.4653, or visit our showroom. We are happy to assist you.